Gentleman Caller Claptrap sports his formal tuxedo, a mustache, a tophat, and a monocle. 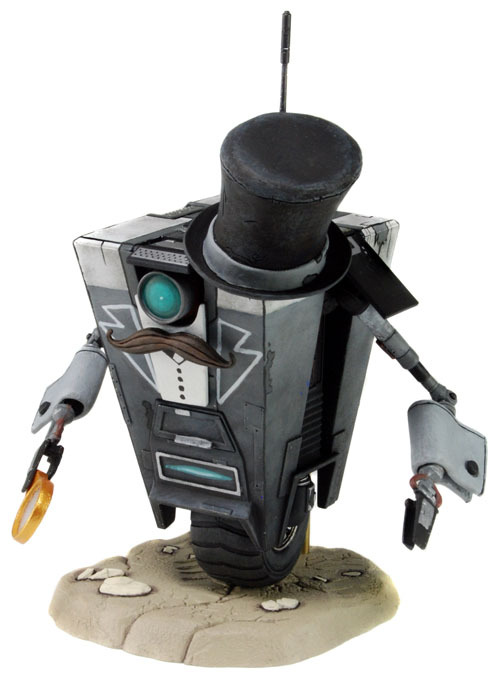 The figure includes a display base and is fully poseable, featuring all new unique decoration to simulate his appearance as the Claptrap who runs the Bank in the Borderlands game. Intricate decoration and tampo printing process re-creates this special version of Claptrap. Clamshell packaging.